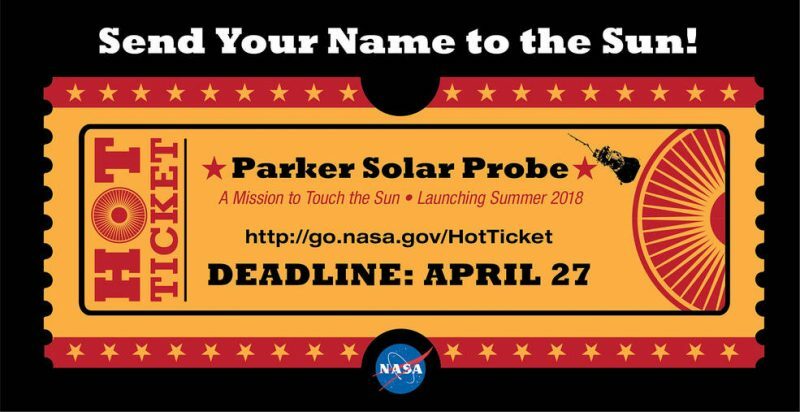 Ponder your name on a microchip aboard a car sized solar probe traveling 692,000 Km/hour around the Sun. Imagine that probe entering the Suns’ atmosphere. How cool would it be if the first mission to trace how energy and heat move through the solar corona carried your name. Would you see the Sun with fresh eyes knowing your name was part of an endeavor to explore solar wind?